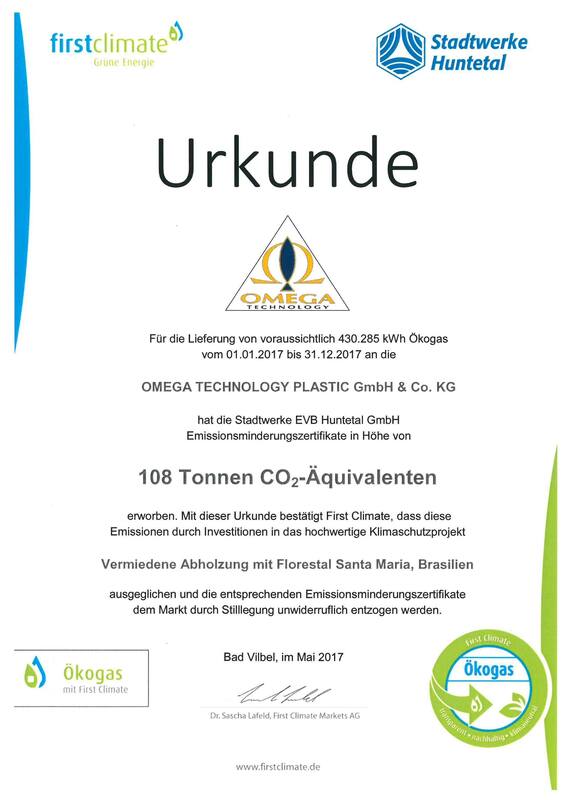 OMEGA TECHNOLOGY is continuing to pursue a comprehensive approach to sustainability. The company was well on the road to achieving its eco-friendly goals in 2015 when it was awarded a green energy certificate for its use of hydroelectric power from the Stadtwerk Huntetal Diepholz (municipal utility company). The environmentally-friendly measures have been taken a step further as the company now also uses waste heat produced by its machinery for underfloor heating and has also installed energy saving LED lighting across the entire manufacturing area. 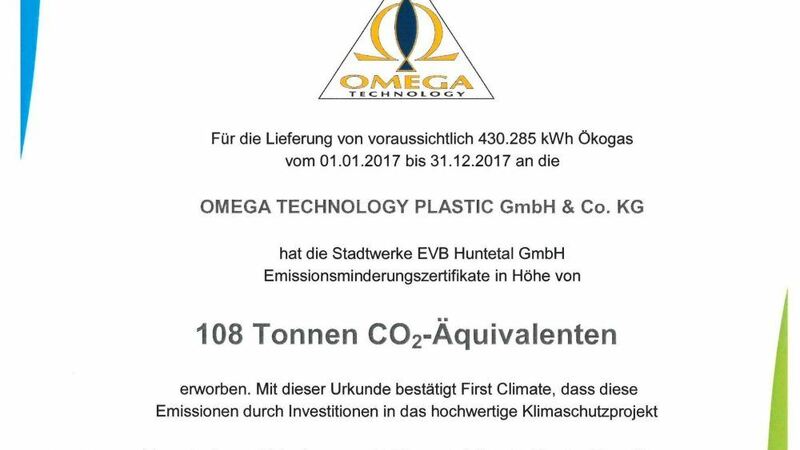 By switching over to eco gas, Omega will be able to further reduce its carbon footprint by saving approximately 110 additional tonnes of CO₂ emissions each year on top of the 1,200 tonnes it is already saving. Switching to this source of energy means that market-based emission reduction certificates will be withdrawn irrevocably and will be offset by investments in the deforestation prevention project that is managed by Florestal Santa Maria in Brazil, Brasilen https://www.firstclimate.de/unsere-klimaschutzprojekte/brasilien-florestal-santa-maria/. The changeover also means that OMEGA can support the Diepholz Moorniederung Project that is run by the conservation group called the Bergwaldprojekt that promotes the protection and maintenance of native forests and natural habitats.